A mother-and-daughter photography team, we specialize in the celebration of relationships through photography. We are both international-award-winning photojournalists who have received recognition for our pure and natural documentation-style portrait photography. Your moments…forever. Our boutique portrait photography studio experience is designed for clients who value the art of photography that will tell their unique story in a custom way. After all, what could be more important than the ones you love? It’s what we like to call Relationship Photography. Located in Sterling, Virginia, we are a full service studio with both an Indoor Studio and a 2.5 acre Outdoor Studio. Most households have a pair of scissors, but if you want a haircut with style, you go to a salon. Similarly, anyone with a camera can take a picture, but it takes talent, experience and a special degree of sensitivity to create an image that stirs the emotions, capturing the lifestyle you live with the ones you love. Our philosophy is to create a photographic experience which will provide unique and exciting art for your home, art which will eventually become family heirlooms to pass down to the coming generations. Our number one goal is to capture your personality while creating unique and interesting images with a combination of fashionable posing and creative lighting. We are storytellers, photojournalists, and we will document the love and relationships with your mate, your family and your friends. 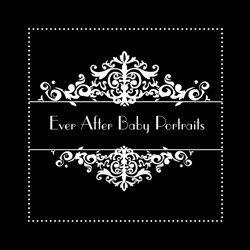 Having your portrait created by Ever After Portraits is a very different experience than say a store at the mall where you walk in and are quickly shuffled in and out. Taking the time to get to know your family is part of what helps us do our best work. The benefit to you is that your family portraits will look relaxed and comfortable, because that’s how you will feel. Your finished portraits will look amazing, too, because during the time we’ve spent getting to know you, we will also be determining the best angle for each of you and determining how to highlight your features. Our commitment to quality begins with a consultation and Design Session so we can customize our session to you, and continues even after you leave the studio. Each work of art is created exclusively for you. We’ll be looking for the love, the emotion and the detail that makes your story uniquely yours. Then we preserve it in products as unique as you are.